Hi, my name is Sam Green and I’m from a small city called Waterford in the South of Ireland. 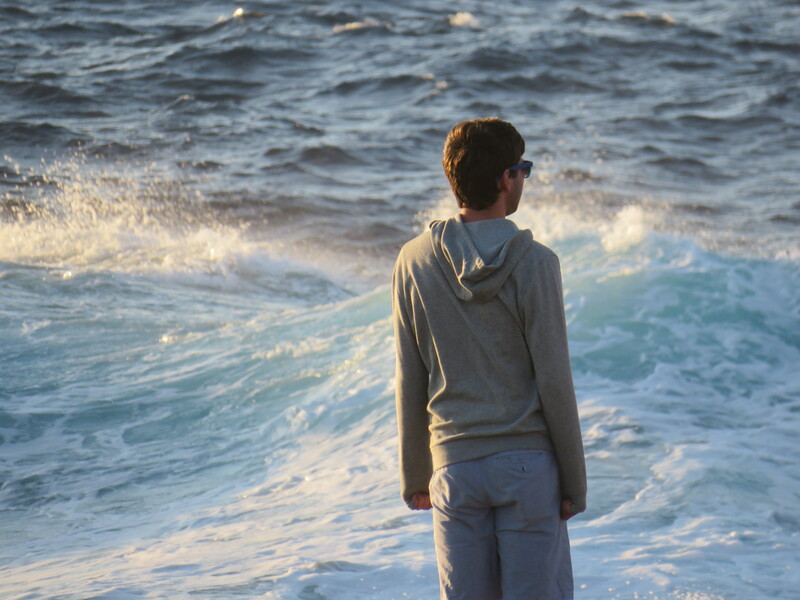 A photo of me while at the cliffs on the island of Malta. A large portion of my childhood was spent exploring the local beaches in the south of Ireland so I think this is a fitting photo to show I have a life outside of academia. I grew up in the countryside surrounding the city (technically Kilkenny countryside but lets not get into those sort of details) and until a few years ago didn’t see life outside of there. I finished secondary school while I was 17 and got the grades I needed to enter the college of my choosing. This lead me to the big Dublin City, Ireland’s capital city if you’ve never heard of us, to do a Bachelor’s Degree in Physics and Astrophysics at Trinity College Dublin. During my 4 year course here I discovered my passion for astronomy, computers and more importantly the desire to be a researcher. This was mainly due to research I carried out during my final year where I worked on code to model the differential emission measure (the amount of material emitted at different temperatures) of delta-spots (highly magnetized sunspots) during a solar flare event on the Sun. I decided a Masters degree would be important in achieving my goal of entering academic research and so I entered a MSc program called Space Science and Technology at University College Dublin. This course (eventually) proved to be an important decision for my academic career – mainly due to the 3-month internship that was required to complete the degree. This leads me to the Dublin Institute for Advanced Studies (DIAS, to see more please visit https://www.dias.ie). I began an internship in DIAS working on a small project with a guy named Jonathan Mackey (soon to be my PhD supervisor). His research, in a nutshell, involved massive stars and their explosions as supernovae at the end of their lives (if you’d like to know more please visit https://homepages.dias.ie/jmackey/research.html). I began working with a code he created called pion, which is a grid-based fluid dynamics code for simulating the circumstellar medium around massive stars. I used this to create simulations of stellar wind bubbles around massive stars. This is where I was first introduced to high performance computing and began using the computing facilities at ICHEC. Over the next 3 months I learned more and more about HPC, Python, C++ and parallel computing (oh and of course physics) and how I felt I was in the right area of research. So I applied for a PhD position within DIAS and by the end of the internship I got a 4-year scholarship to continue of my research as a PhD student. Photo of Dunsink Observatory in Dublin, Ireland. The image shows the main observatory building where the famous mathematician William Rowan Hamilton used to live while he was a professor in Trinity College Dublin. Since I started my PhD about 7 months ago, I have continued to work on 2-dimensional simulations of massive stars and how they interact with their surroundings. My current work involves modeling the Bubble Nebula (NGC 7635) and trying to understand its formation and hence create a model to describe it. 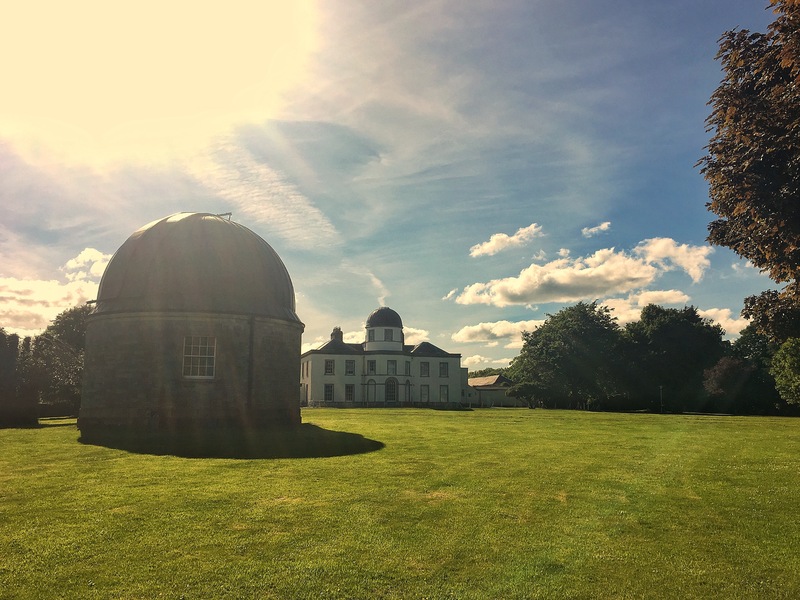 DIAS also runs and maintains an observatory on the outskirts of Dublin called Dunsink Observatory. Now if I didn’t mention anything about this place I think Hilary (Hilary O’Donnell organizes all the public outreach that goes on within Dunsink) would kick me out. Since September, I have been voluntarily helping out at public events and workshops held here. Since then, I have developed talks that I now give on a regular basis to the general public, schools and college societies (ask David Bourke). I also work on a meteor camera system that monitors meteors entering the Earth’s atmosphere (see Nemetode.org for more information). 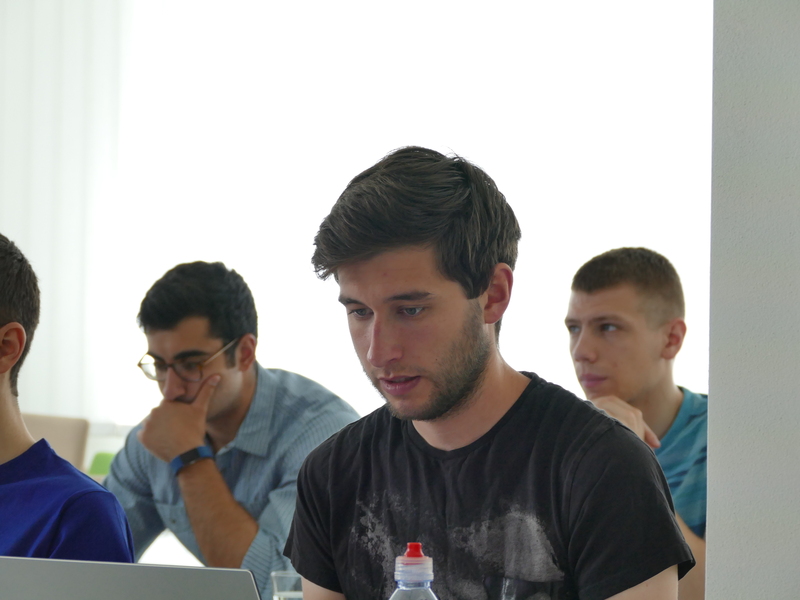 Working hard during a hands-on session at the Summer of HPC training with in Ostrava, Czech Republic. 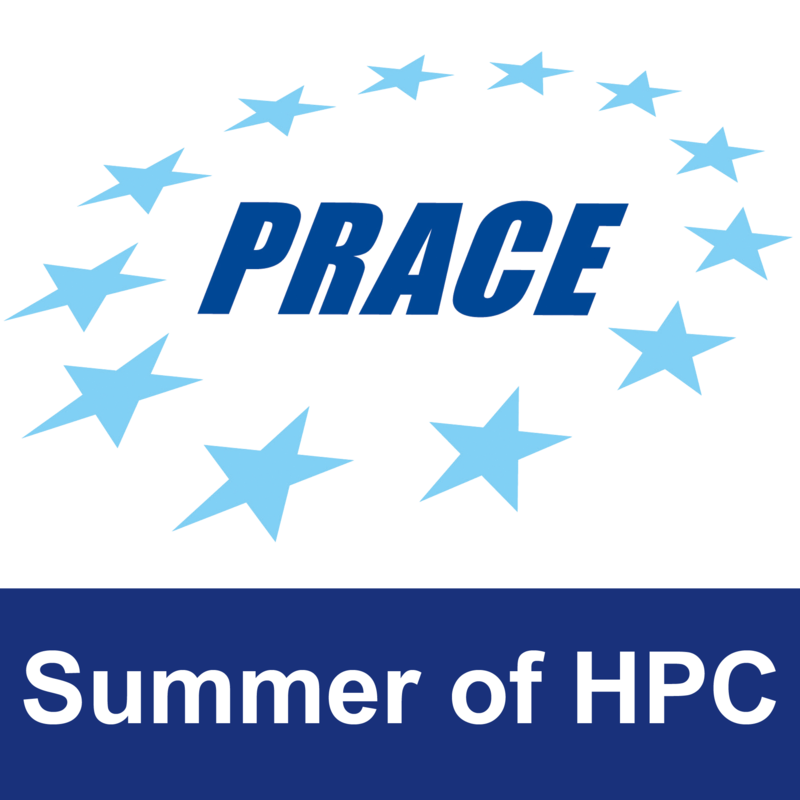 of PRACE’s Summer of HPC program and how this could be a good way to further my knowledge of HPC and get a chance to do a project outside of Ireland. Of course I jumped at the idea and submitted my application. Within a few months I was picked to do a project at EPCC in the University of Edinburgh working on a project entitled “Interactive weather forecasting on supercomputers as a tool for education”. This project caught my interest because every aspect of it includes things I am interested in. I have always been curious at how weather forecasts are modeled and how supercomputers are used to do this. I also look forward to learning how this type of computing can be used for education. My time at Dunsink Observatory has taught me the importance of outreach in astronomy and science as a whole. I know the next 2 months will both exciting and educational! Thanks to Andreas, Dmitra and Jamie for the help!